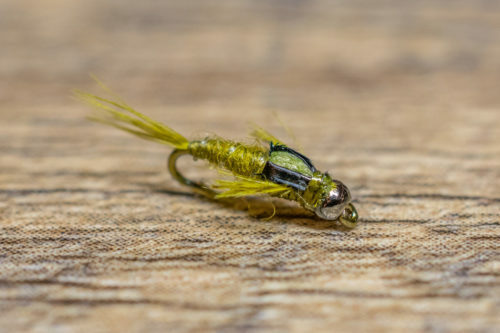 The Foam Wing Emerger is an excellent imitation for emerging BWO's. The Foam Wing Emerger was invented in the early 1990’s by John Tavenner, a guide on the San Juan River. The Foam Wing Emerger is an excellent imitation for emerging blue-winged olives and Tricos in sizes 20-24. In larger sizes 16-18, they work well for emerging pale morning duns and red quills. It may be the ultimate guide fly because it is quick and easy to tie, durable, and fools some of the toughest trout you’ll find on tailwaters. The abdomen is thin and sparse, either with dubbing or a thread body counter ribbed with copper wire. The emerging wing is made of closed-cell foam. The Foam Wing Emerger was invented in the early 1990’s by John Tavenner, a guide on the San Juan River. 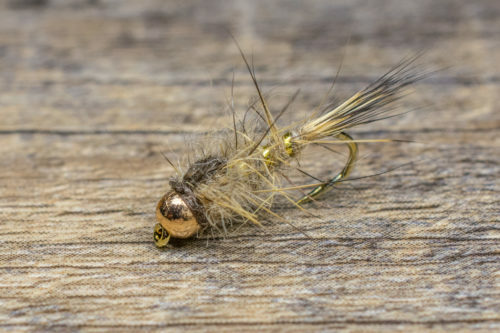 The Foam Wing Emerger is an excellent imitation for emerging blue-winged olives and Tricos in sizes 20-24. In larger sizes 16-18, they work well for emerging pale morning duns and red quills. It may be the ultimate guide fly because it is quick and easy to tie, durable, and fools some of the toughest trout you’ll find on tailwaters. The abdomen is thin and sparse, either with dubbing or a thread body counter ribbed with copper wire. 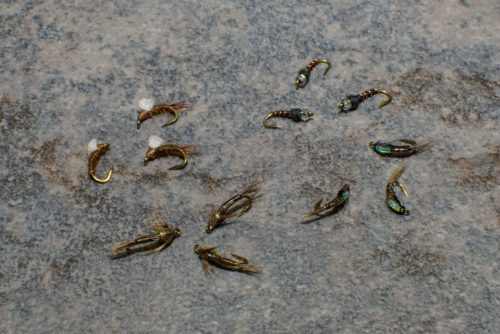 The Foam Wing Emerger fishes well under a wide range of conditions, but it remains most effective during the peak of a Blue-Winged Olive hatch. The foam wing allows it to be fished anywhere in the water column or fished in the surface film with a greased leader if so desired. This pattern is especially effective on the swing when trout are keying on swimming Baetis nymphs. We recommend larger sizes in the spring (#18-20) and gradually fish smaller sizes (#22-24) as the season progresses. A size 26 (available by special order) works well in the winter for emerging midge pupa.